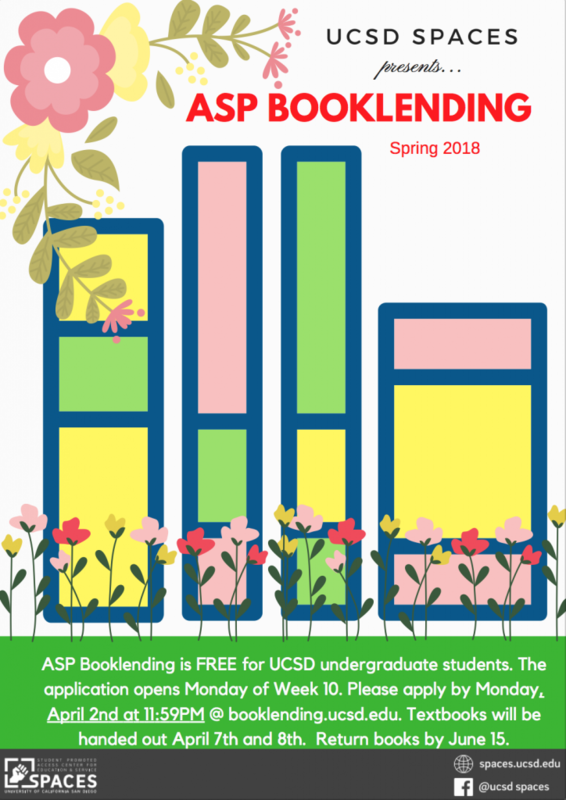 The Booklending Program strives to relieve the financial burden of higher education’s academic textbooks. We loan out textbooks to students for free on a quarterly basis. Students who are interested in participating the Booklending Program must submit an application each quarter that they are interested in being a participant of the program. Allocation of books is based on need, as well as availability of books in our inventory.